This is the 2nd installment of my Happiness Project Review! I started this project in January, you can read about the first installment here. Review: I became insanely annoyed with author Gretchin Rubin at this point. I agree that reframing a negative outlook to a positive one is a healthy attitude that will lead to a happier life, but my goodness! She really seems like a Negative Nancy, I see why she felt the need to start this project. My Experience: I had a easy time with singing, taking time for projects (such as this blog), & embracing happy memories. My struggle continues to be with other people’s feelings. I was perfectly fine acknowledging their feelings…it was dealing with them I had an issue with. This ties into being a good listener, which I will openly admit – I’m NOT. I can’t just listen, I want to get involved & become part of the solution. I have a friend that comes to me with her man problems & rather than just acknowledge how she feels & let her share, I say, “You have all the power in the world to leave, just leave!” Which isn’t making either of us happier or bringing us closer, so I tried & will continue to try to JUST acknowledge her feelings. Review: I continue to struggle with how I feel about Rubin. For example, she pretended to not like Harry Potter because she thought it was for kids. WHAT!? I’m not a fan of this. On the other hand, she also talks about her love for making “Blank Books” – decorating blank notebooks with magazine cut outs – something I also love to do. I kind of see Rubin as a warning, what I could turn out to be if I take life too seriously & don’t follow my passions. My Experience: Find more fun/Take time to be silly/Go off the path were all easy goals to accomplish. I had recently moved back to SoCal & decided I would make much better use of my leisure time this summer by exploring more of what SoCal had to offer. My friends & I went on many wild adventures. Every time I live in SoCal I find new, exciting things to do & I’m more sad to leave than I was the time before. The only issue with these new adventures is the money they cost! It can be very expensive to be serious about play. I chose not to “Start a Collection” as I already collect things & honestly should work on slimming down my collections rather than adding to them. Review: I’m fairly certain I’ve mentioned my frustration with the research in this book, but it’s worth another mention. An example that irks me is on pg 157, Rubin says, “…research shows that…when introverts push themselves to act more outgoing, they usually enjoy it…”. I am in no way an expert, but I have my B.A. in Communication Studies & have studied how different personalities communicate. This contradicts most research I’ve read & I know at least a few Introverts that would disagree. I understand research isn’t perfect & when writing a research based piece such as this you only use supporting material. Perhaps I’m a tough audience because I have some background in the topics Rubin is discussing, but overall I don’t feel like I can trust the information, which is a turn off. My Experience: During my birthday month I had a goal to remember birthdays! I turned off Facebook Birthday notifications to see which ones I genuinely remembered. While Rubin uses Bday greetings as a way to check in with friends, I feel like people “my age” are aware that Social Media is most likely the only reason their Bday was remembered. Any other attempt at communication feels fake, even if it’s not! Too often I’ve sent a Bday greeting & genuinely said, “Let’s catch up!”, only to have no response for whatever reason. The other goals are personal goals anyway, but it was good to reinforce them. Review: Again, I’m more and more displeased with Rubin. No one is perfect, but her Goal in June is to not gossip, then in July, she delights in telling a story about a “wild and reckless guy” & how she was, “quite relieved when he broke his foot…because [it] prevented him from getting up to more mischief”. Uhh, okay? Not sure how that schadenfreude story is supposed to help me like her, but alright. My Experience: My whole life is an experiment in splurging/buying things I need/giving up stuff I don’t, haha! Spending out was a little more challenging. The premise is somewhat related to “Be generous” and “There’s no time like the present”. Rubin made a good point while “Spending Out” that sometimes she saved blog post ideas for “the right time”. I often do the same thing or won’t create any content unless the setting is EXACTLY perfect, which sometimes results in the post never being created. In an effort to “Spend Out”, I started creating content even if the conditions weren’t just as I pictured them & no one even noticed. Overall, I felt more efficient and productive, which made me, yes, happier. YES. People always give me grief about taking pictures/group selfies or taking video at concerts, but I do it because I actually look back on those memories & it takes me back to that awesome moment. While I enjoy being a grown up, I don’t think that has to mean taking on a whole new set of “boring/serious adult interests”. The older I get, the less I care what other people think. I’m not cool, trendy, hip, whatever, I’m just me, & I like what I like. I think unhappy, insecure people try to trash talk other people’s interests. This year is flying by & I’m obviously more than halfway finished with this book & project. I don’t necessarily feel that my whole life has changed in any substantial way or that my relationships have improved. As I mentioned earlier, I do feel slightly more efficient & productive in regards to my blog, which is making me happier in that aspect of my life. I’m also starting to feel that some of these goals are extremely similar in concept, just worded differently, so it’s feeling a bit repetitive. What do you think of “The Happiness Project”? Have you read this or any similar “self help” type book? Please let me know in the comments! Thanks for reading! I have been invited to participate in a Summer Internship with Coast Concierge Service, Inc., owned and operated by Rená Puebla! I’m so excited and grateful for this opportunity! Please check out the company website, CoastConcierge.com to see amazing pictures of past events & read the company blog. Please follow us on Facebook, Instagram: @CoastConciergeService & Twitter: @CoastConcierge1 to stay up to date with the company and all the amazing events we’ll be putting together this summer! Click FOLLOW on the top right of this page to stay informed of my upcoming posts! Thanks for reading! My partner in crime! 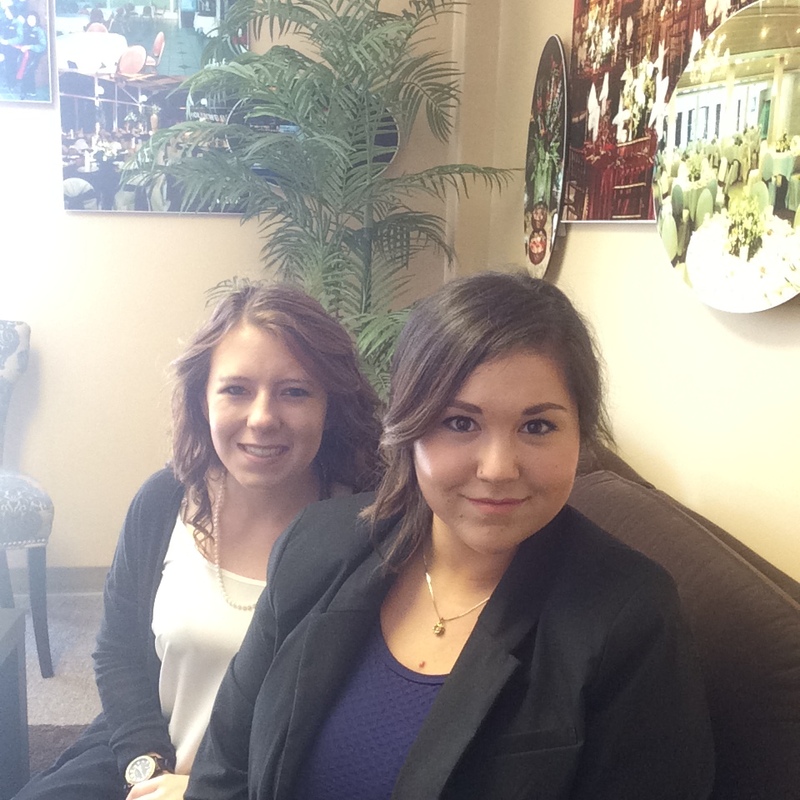 One of the other Summer Interns joins me for a quick photo op in the CCS office. New Post on Tnt-Tauna.com ! 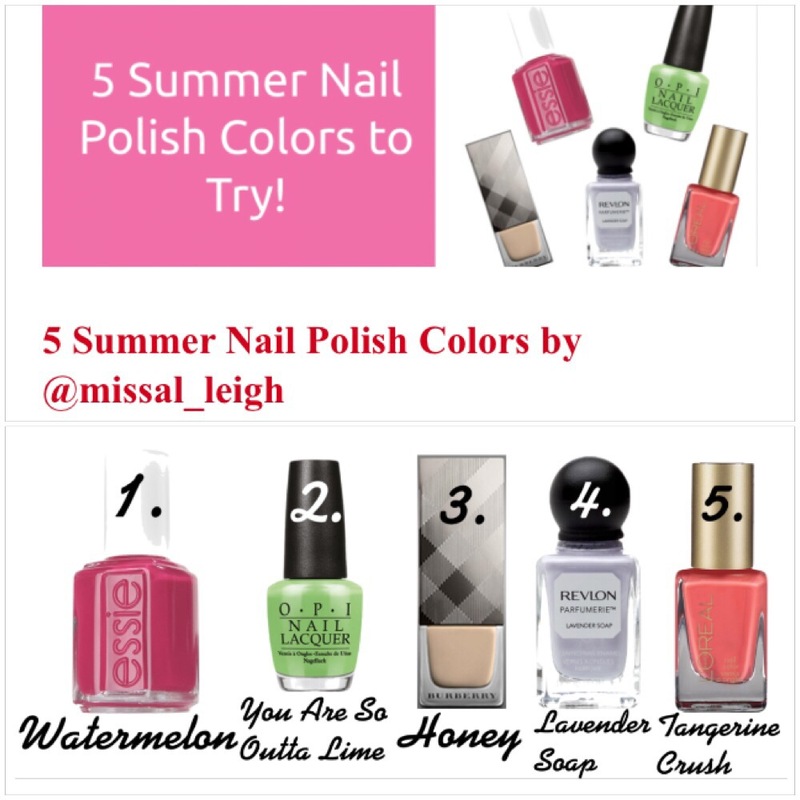 Please head over to Tnt-Tauna.com and read my latest post over there – 5 Summer Nail Polish Colors to Try!